I guess living in UK gives you a head start in the race to get to the marble trout of Slovenia. 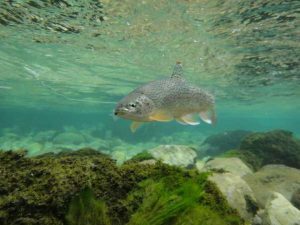 Geoff’s trip report shows how much good fishing there was – along with some great underwater shots. (His photo album has got some optional treatment of photos for those shutter-heads amongst you). This entry was posted in Places on April 22, 2017 by bill.